Today, every business and organization understand the importance of having website and blogs to engage with existing customers and attract the potential clients. Therefore, they create a website that has rich content, good designs, and strong user interface. But unfortunately, when it comes to choosing a web host, most of them do not put enough effort and end up taking wrong decisions. A poor hosting company can have a negative impact on your reputation and income as well. Therefore, it is crucial you choose the hosting partner that not only furnish the high performance but it is also easy on the pocket. Today, I have decided to review a web hosting company that is becoming popular among the users for being high performance yet a very affordable hosting option. Let’s review its different features and know whether is it really worth using or not? This review will be based on my personal experience and the data I have hoarded from different websites. Hostinger is a perfect option for users finding the best and most affordable hosting. It provides 3 types of hosting plans named as ‘Single’ ‘Premium’ and ‘Business’. People looking for hosting for their simple website or blog can pick their basic plan at only $2.89 a month. However, if you own a large database site or e-commerce, you can go with their Premium and Business plan. The price of Premium Web Hosting is $2.99 for a month whereas for Business hosting plan you will have to pay $ 4.99 mo. Both plans come with features like Unlimited SSD disk space, bandwidth, FTP users, website builder, etc. At such affordable price, Hostinger is offering good value hosting with amazing features. Affordable plans are the most prized asset of Hostinger. Nevertheless, it is equally good in terms of features as well. It comes with various amazing free features that come as paid service in the plans of numerous leading hosting companies. Hostinger provides state-of-the-art servers that use SSD storage. These servers are advanced versions of previous HDD servers. In comparison to HDD servers, they can read/write data 4 times faster and better. All of the three plans of Hostinger are supported by some amazing free tools such ‘Website Builder’ and ‘Auto Installer’. With Auto Installer, users can install various applications such as WordPress in just a few clicks. Coming to the Website Builder, users can customize their websites using thousands of free templates and give them amazing effects. You can pick any template according to the niche of your website. Installing template is quite easy, anyone having basic coding knowledge can do it. Hostinger claims to offer 99.9% Uptime for its all basic, premium and business web hosting plans. In my two years of experience, I never encountered any major downtimes with Hostinger. Although there were few small downtimes, but as I remember all of them were for maintenance only. As per my personal experience, Hostinger is true to its promise in terms of Uptime as well. Hostinger follows no compromise policy on security. When I compared this to its competitors, I found Its plan comes with some advanced security features such as HTTP packets, SSL certification, daily data backups, etc. All of its three plans have free data backups. Apart from this, the company also provides protection against DDoS attacks via Platinum BitNinja’s DDoS, which makes sure your site is accessible all times to your users. Hostinger is renowned for providing 24/7 responsive customer support. The company has a strong team around the globe that gives you amazing localized support any time you need. Users can access their customer support through Online Ticketing System and Live Chat System. Although Hostinger misses the phone support yet both their customer support are very prompt and reliable. As per my personal experience, I found its live chat agent to be responsive, helpful and very knowledgeable. Moreover, the response time was also very prompt. Even I was waiting in a queue but it took less than 2 minutes to connect with their representative. Overall, it was a very nice experience with their customer support. Along with Live Chat and Ticket System, Hostinger also provides a handful of tutorials and blog posts which users can use any time and learn more about Hosting. 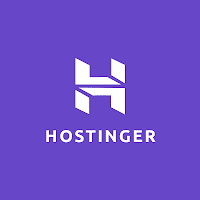 After reviewing Hostinger on different parameters I can say ‘Hostinger is a reliable hosting company that provides good value along with some exceptionally amazing features. People looking for an affordable hosting option without compromising on performance must go with Hostinger. 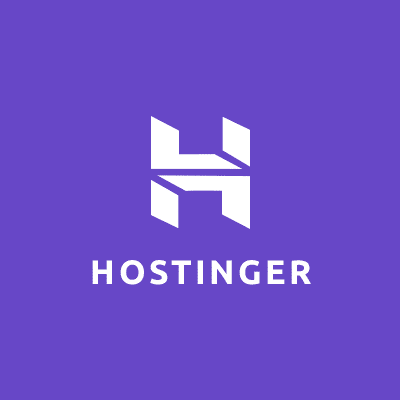 So if you are looking for a reliable hosting option with loads of features for a very fair price, look no further Hostinger is the best option for you!